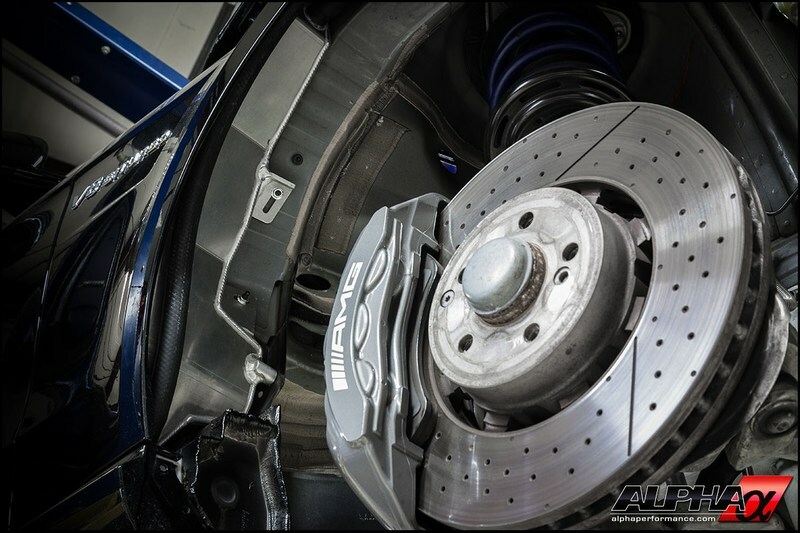 Live in a hot climate, enjoy spirited drives or long high speed pulls? The M157 boost cooler keeps your intake temps low and maintains your AMG's maximum output no matter the ambient conditions. The Alpha Performance E63 5.5L Bi Turbo(W212) Boost cooler system is a great addition to your M157 equipped AMG. The cooling system has a large, high efficiency heat exchanger located in the front of the car, with a reservoir that holds over a gallon of coolant in the fender well and a high flow brushless pump to compliment the factory pump. As with all Alpha products, everything needed to install the system is included. Best of all, no drilling on the car is required. One of the most important parts of an effiencey cooloing system is the heat exchanger core. Skimping here could mean the overal performance of an "upgraded" system might be worse than stock. 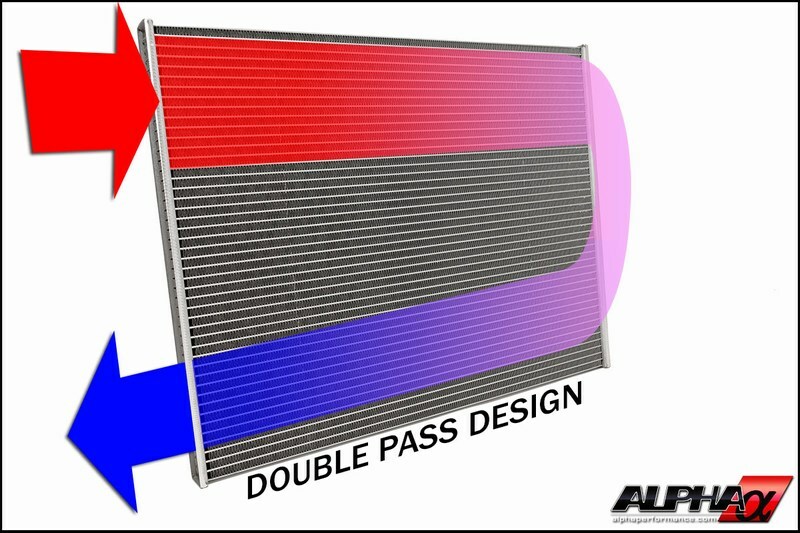 The Alpha core is a high quality, double pass design where the coolant makes two passes though the unit. The result in a cooler system that give you a boost in power. ...In your trunk that is. A hand fabricated reservoir acts as a large heat sink and keeps coolant temps low and stable. 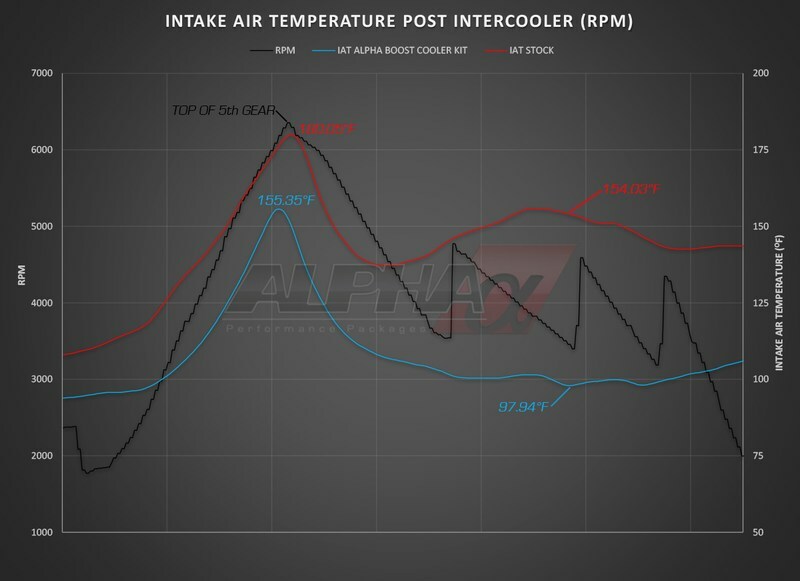 With over a gallon of additional coolant on board, it increases the cycle time allowing it to dissipate more heat before being recalculated. With its trick mounting location in the passenger fender well, you don't have to run unnecessary lines to the rear of the car, drill holes in your trunks floorboard or give up valuable trunk space. To give your the best possible performance and keep the coolant flowing efficiency through the heat exchangers, we added an additional high flow pump to run in conjunction with the OEM pump. The combo of two pumps allows a high flow rate and keeps pressure high. Some Early M157 5.5L Bi Turbo models came with a non-divorced cooling system, our system requires the system be divorced. 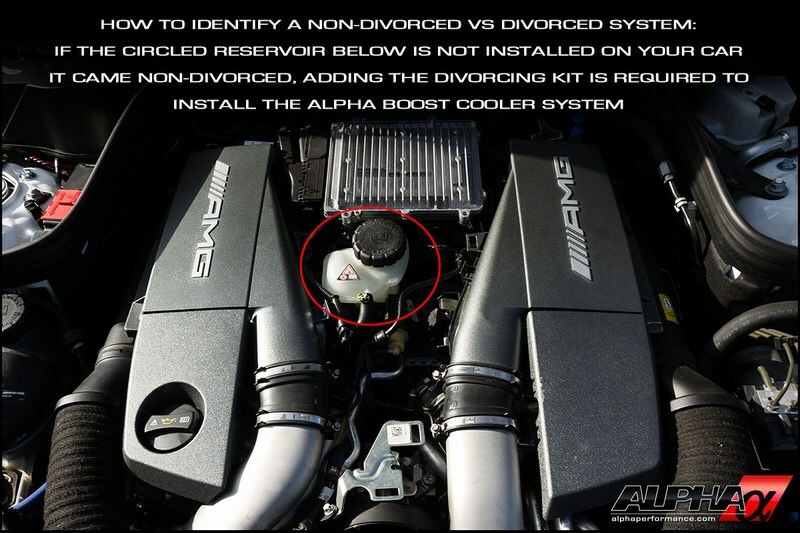 If you have an early model that does not have a coolant reservoir under the engine cover (see image in More Images tab) you will need to add the divorce kit from the options menu. Our divorce kit uses OEM Mercedes-Benz parts.